My name is Sarah Nerad and I am a person in long-term recovery, which means I have not used alcohol or drugs since August 16, 2007. Recovery has given me the ability to be a leader on my campus and to give back to other students what was so freely given to me. One of the major ways I do this is through my role at Ohio State where I am the Program Manager for Student Life’s Collegiate Recovery Community (CRC). The CRC is a supportive peer community with specific programming for students in recovery to enable them to have an authentic college experience while maintaining their recovery. 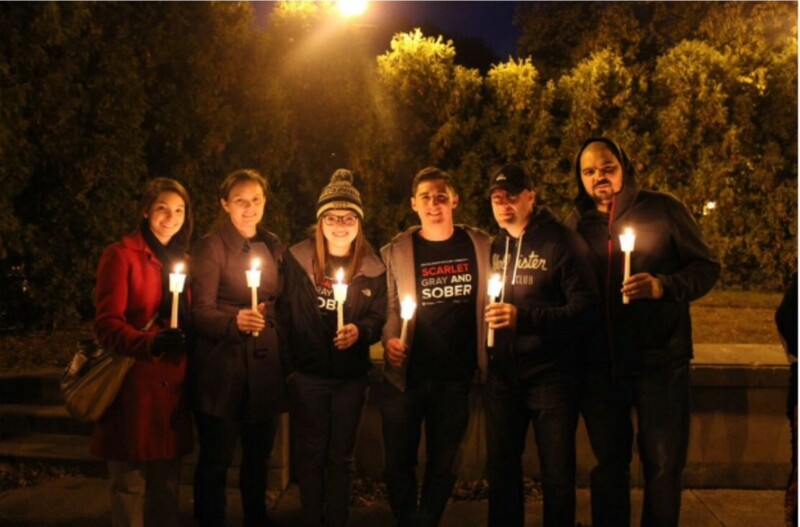 The CRC at the 2015 NOPE Candlelight Vigil, where one of our members shared a recovery story (photo courtesy of Sarah Nerad). Since the CRC began in March of 2013, the Ohio State College of Pharmacy and the Generation Rx Initiative have been tremendous supporters and partners of ours. Some of the ways we have worked together over the years include having a CRC member speak at the NOPE Candlelight Vigil, volunteer at and help promote the prescription drug take-back days, efforts to increase access to naloxone both on and off campus, sharing our recovery stories at their events and collaborating to include information about recovery in prescription drug misuse education. The CRC at our 3rd Annual CRC Graduation Dinner where we recognize our members that are graduating from Ohio State clean and sober by presenting them with purple honor cords (photo courtesy of Sarah Nerad). We have also partnered to deliver educational presentations to students on prescription drug misuse prevention on campus. Having a CRC student come and share their story humanizes the addiction and recovery journey for the audience and makes the message more relatable. We are able to leave the audience with resources if they or someone they know needs help as well as leave them with hope that people can and do recover. One of the things I’ve enjoyed most about our partnership with the Ohio State College of Pharmacy and Generation Rx Initiative is that it’s an “outside of the box” partner. To marry prescription drug misuse prevention messages with recovery messaging is a powerful way to reach new audiences and bring hope to those that have been impacted by addiction. It’s also important that we work together because we need more people to understand the reality that addiction is treatable and people can recover. By getting outside of our silos and working together to reach new audiences, we are able to have the collective impact that we want. Sarah Nerad has made it her life purpose to create the same opportunities that she had to enter and sustain recovery for young people across the country. 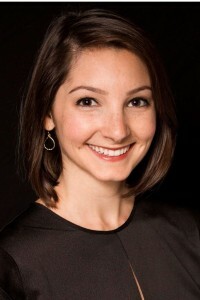 She was a founding member of Young People in Recovery, a Substance Abuse and Mental Health Services Administration (SAMHSA) intern in the Center for Substance Abuse Treatment Department of Consumer Affairs, and a past board member of The Association of Recovery Schools and Ohio Citizen Advocates for Addiction Recovery. She helped create the Collegiate Recovery Community at Ohio State and currently serves as the Program Manager. She also helped establish OSU’s Higher Education Center for Alcohol and Drug Prevention and Recovery and serves as its Director of Recovery. Additionally, she was appointed to serve on the SAMHSA Advisory Committee for Women’s Services to represent the needs of women and girls in recovery.